Thyroid hormones influence gene expression in virtually all vertebrate tissues. 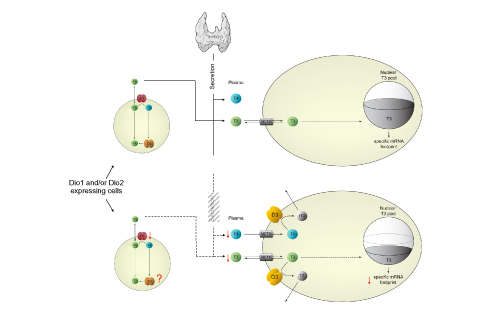 Precise regulation of the active endogenous ligand, 3,5,3′- triiodothyronine (T3), is achieved by the sequential removal of iodine moieties from the thyroid hormone molecule. Type III iodothyronine deiodinase (D3) is the major inactivating enzyme terminating the action of T3 and preventing activation of the prohormone, thyroxine (T4). 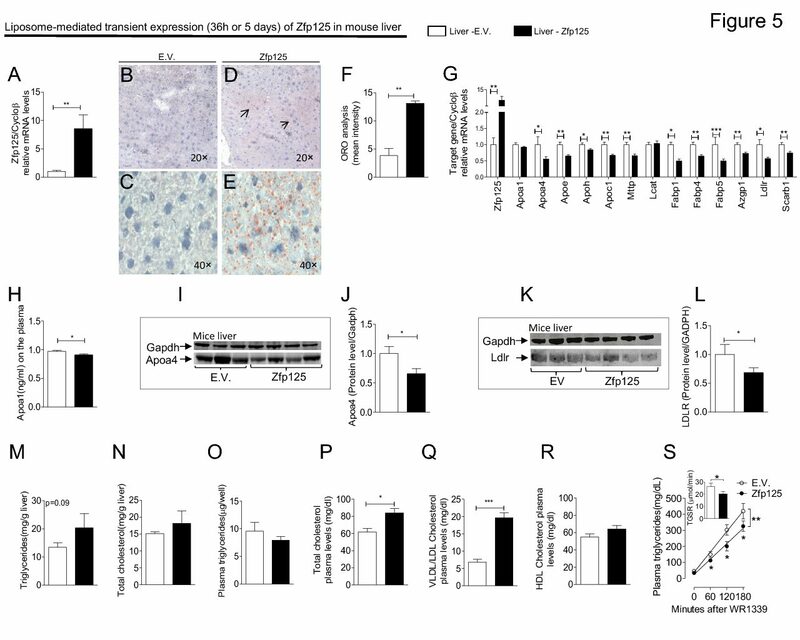 Recent studies have revealed the induction of high D3 activity in diverse animal models of tissue injury including starvation, cryolesion, cardiac hypertrophy, infarction, and chronic inflammation. By analyzing serum and tissues taken from hospitalized patients at the time of death, investigators have also documented the robust induction of D3 activity in several human tissues that normally have none, including the liver and skeletal muscle, and shown clinically relevant consequences to systemic thyroid status. These studies reveal a novel role of D3 in the tissue response to injury and in the derangement of thyroid hormone homeostasis commonly observed during critical illness. Stephen A Huang and Antonio C Bianco. Nature Clin Pract Endocrinol Metab. 2008 Mar; 4(3): 148-55.